It's been a minute! Ade and Bonita return to explain their absence from the podcast, what they've been up to and why TF they aren't sorry for the break. The pair share some recent personal updates including Bonita doing the most during October and Ade globetrotting with work. Also, they discuss what the time off has taught them that fellow business owners and side hustlers can relate to. 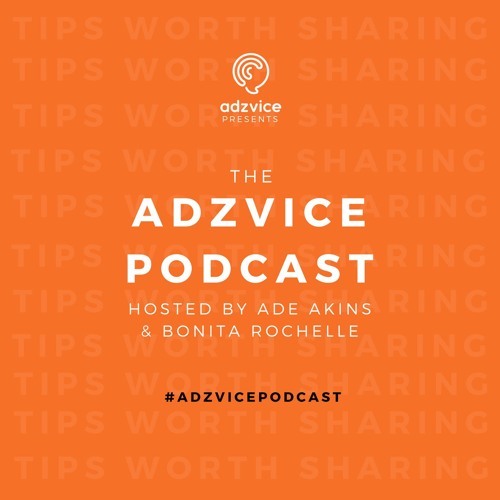 Adzvice is going through a very exciting transitional period, stay in the know by subscribing to the newsletter: http://eepurl.com/cyxapP Discover more at www.adzvice.com and keep the conversation going using the hashtag #AdzvicePodcast.